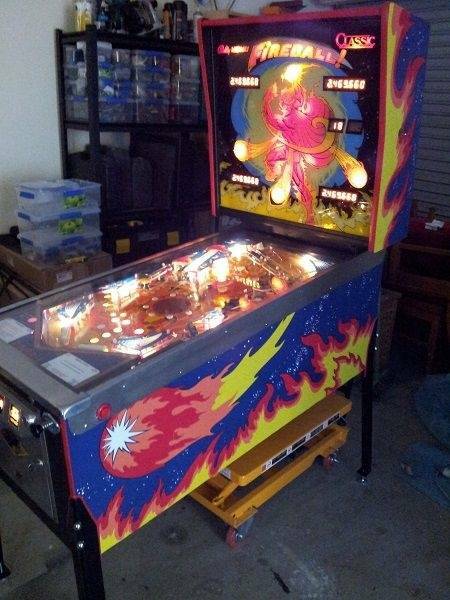 Ive got a fireball classic, solid state version with spinning disc and coin door. I cannot find decals anywhere. 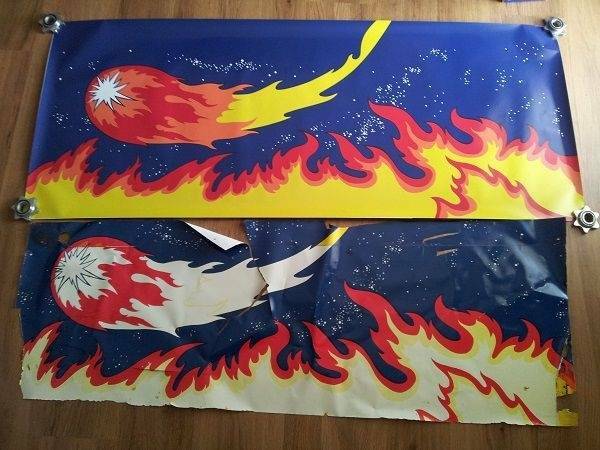 If anyone knows where i can get, or even the decal file, id really appreciate it. I'm looking for the same cabinet decals. Someone in Australia had some made up, but I have been unable to contact them. I sent the Aussie FBC decal king a pm to let him know of this thread. 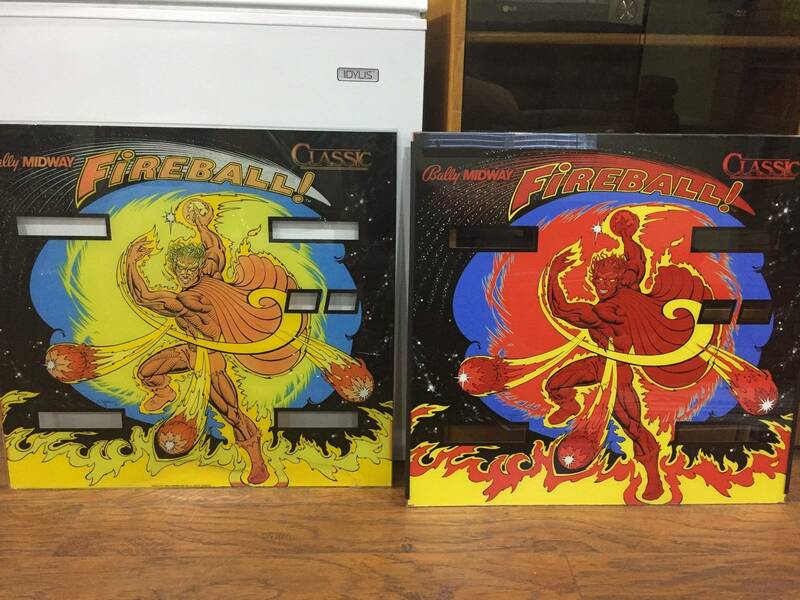 I would buy a set of decals for my Fireball Classic. I am finishing up the artwork for mine. I also added a front decal to go around the coindoor! Once I have a quote, I will be happy to pass along the finished product...at-cost. It was fun for me to work on this one. 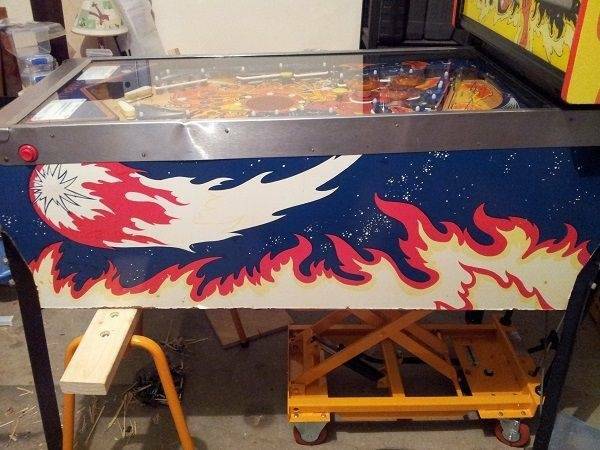 I fixed the fact the sides aren't reflected (they are the same piece of vinyl...one fireball is shooting to the back and one to the front)...also added a Bally decal for the empty diamond on the coin door. There is all the vinyl inside the spot for the coin door that will be cut out...any recommendations on what to use it for? Bottom line my finished product will be, two reflected sides for the head, two reflected sides for the cab, and one for the front. It will be adhesive vinyl with a laminate on mine. The laminate is optional but it protects it a little. Disclosure, I did this for fun and by no means am a Photoshop expert. 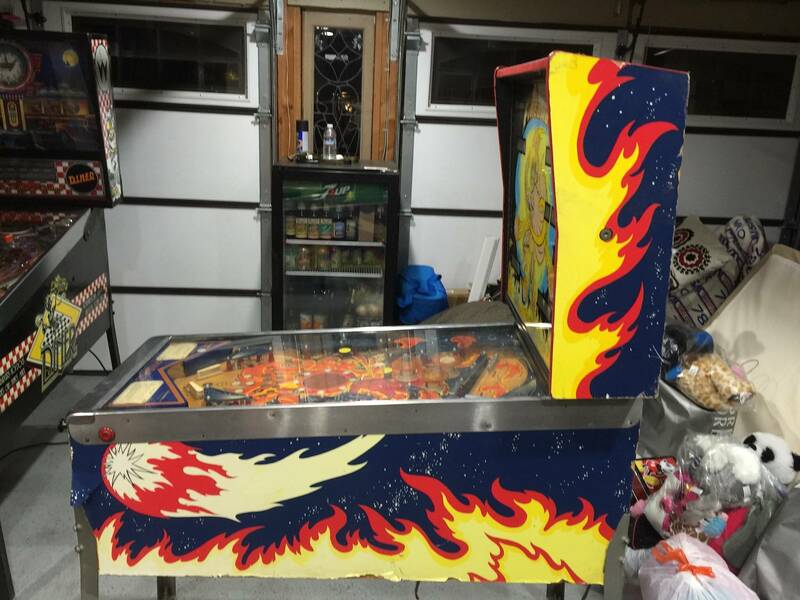 also added a Bally decal for the empty diamond on the coin door. There is all the vinyl inside the spot for the coin door that will be cut out...any recommendations on what to use it for? There is a warning sticker on the floor of the cab you could scan and reprint. There is also a waning sticker on the back of the head (I can't remember what it says, but it's small). 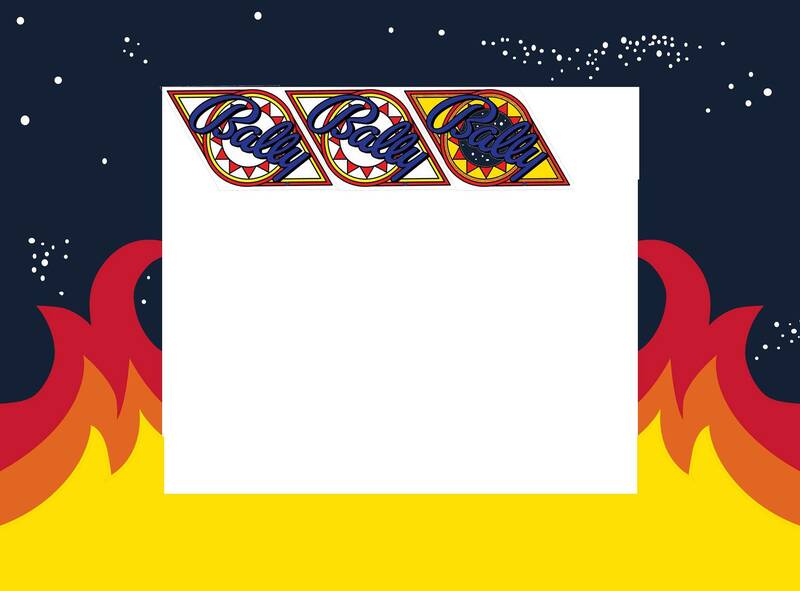 Or you could fit the apron graphics if yours are scratched or rusty (with a seam in the center, flipped, shooter in card space). 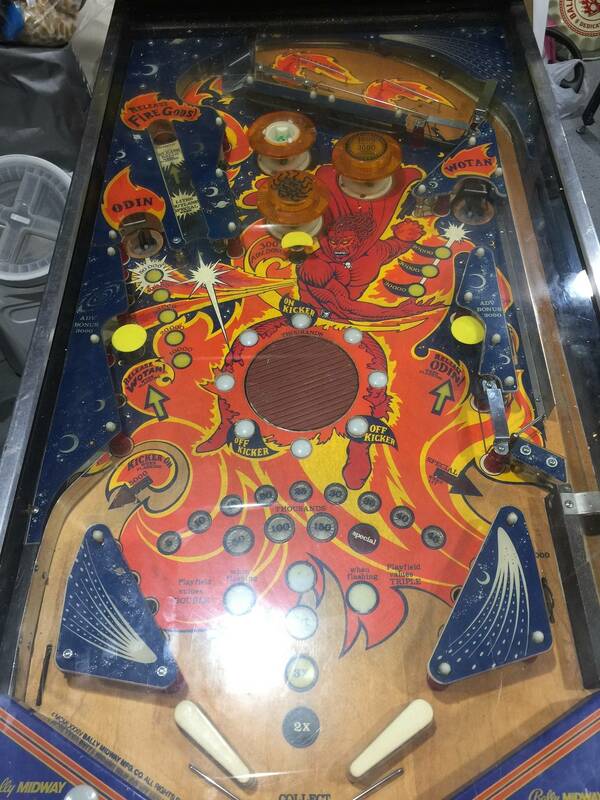 I don't think I've ever seen a Fireball Classic with sides that aren't faded. Mine sure are faded. I'm surprised there isn't a stock of vinyls ready to be bought up. Same goes for the backglass. I got lucky with my backglass and it isn't faded, but I know most are heavily faded. I'd be interested in a set of these decals depending on what you come up with. How close are you to finishing? I stayed up late last night and finished the entire thing. I saw the original sticker that goes on the coin door and wasn't too impressed with it, so I designed my own that incorporates the theme of the machine with the original bally logo (Far Right One). 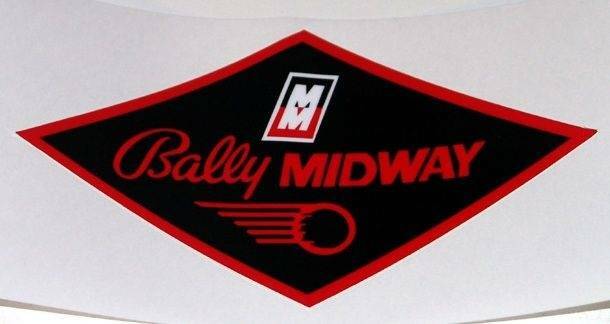 I plan on finishing the bally logo, adding the original bally midway logo. Any thoughts on decals for the apron? I have a good original apron, should I just keep original decals and throw them in the middle as spares for whomever may want this? I am on travel this week until Wednesday, anyone have pictures of the warning stickers? Perhaps custom rule card inserts to fill in the blanks...? 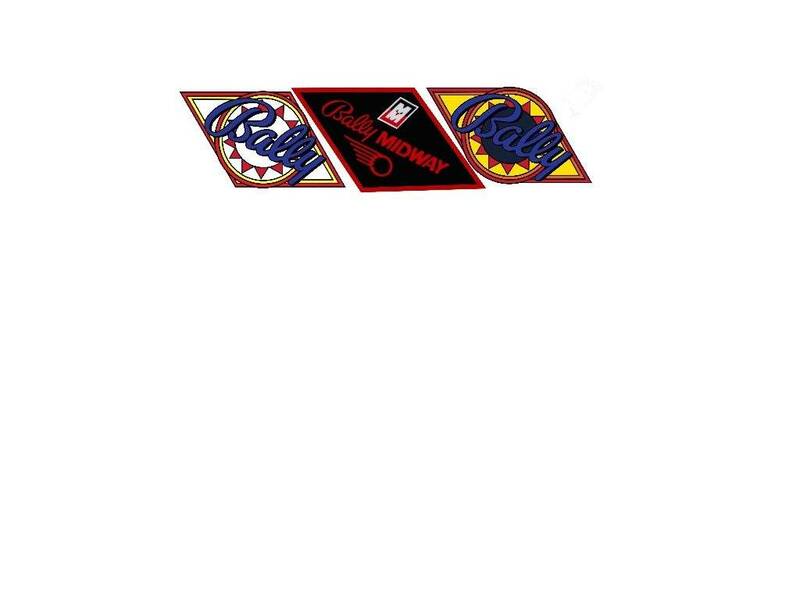 Finished up the three Bally logos early today (See below). I also finished up a majority of the apron graphics for a Williams Gorgar and a Space Odyssey that needs vinyl numbers for mock score reels. Still will need to verify all dimensions before I send off to the graphics shop. 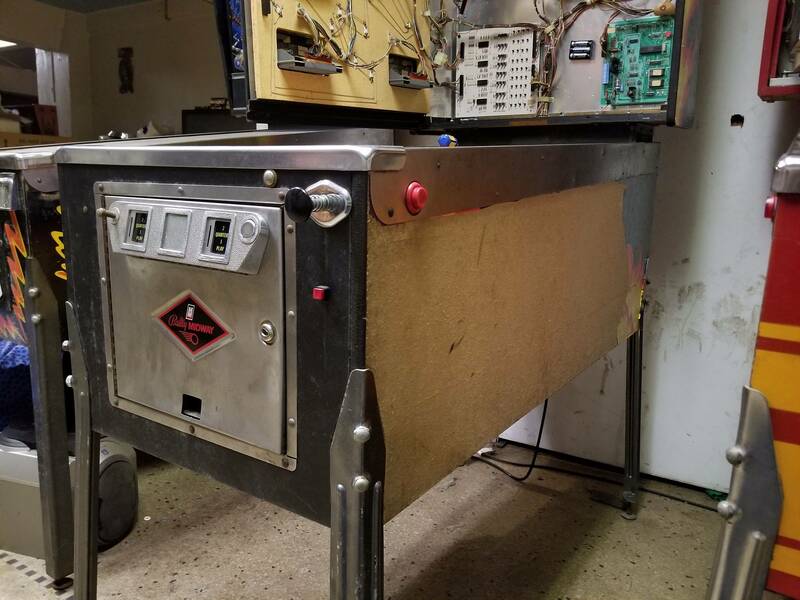 I used to have access to powdercoating for free and wish I still had that to get these legs, side rails, lock down bar and plunger metal turned red. Might steal the red legs I have on my Gorgar for the Fireball and add yellow leg protectors. So after I finished the backglass and masking, i realized that the color schemes I had been using were different between the backglass and the side art. Anyone have any opinions on the colors I should go with? I think the colors I pulled from my original were already off enough to make it look different and bad. Here are the new colors that match the backglass. 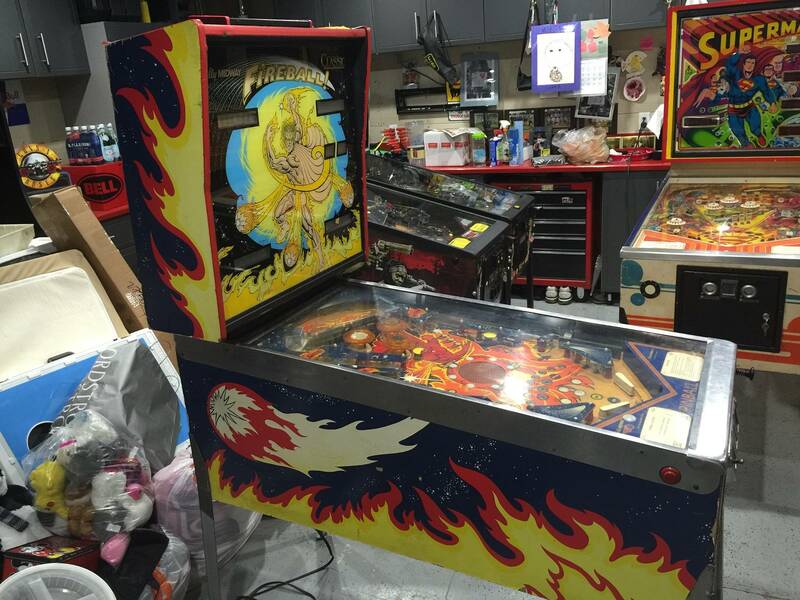 Search Fireball Backglass if you want to see the other forum I am discussing the fireball backglass in. sheahan2 Did you ever get these decals produced? I would love to buy a set for my FBC. Thanks. How did you end up going with the colours? For comparison, here is the set I had made up compared with the original. My blue looks a bit lighter than the original. But the art is old so 100% matching is always going to have some inaccuracies. Your yellow, red and orange look fine to me though (even the blue looks fine). Even if one (or more) of the colours are slightly off, I doubt it will matteras new decals are going to make it look so much better! 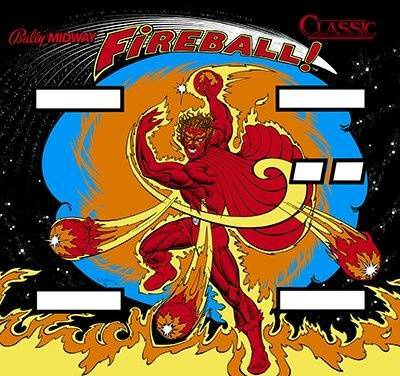 Just curious, is there any reason why the fireball is going from left to right instead of right to left in your sample?